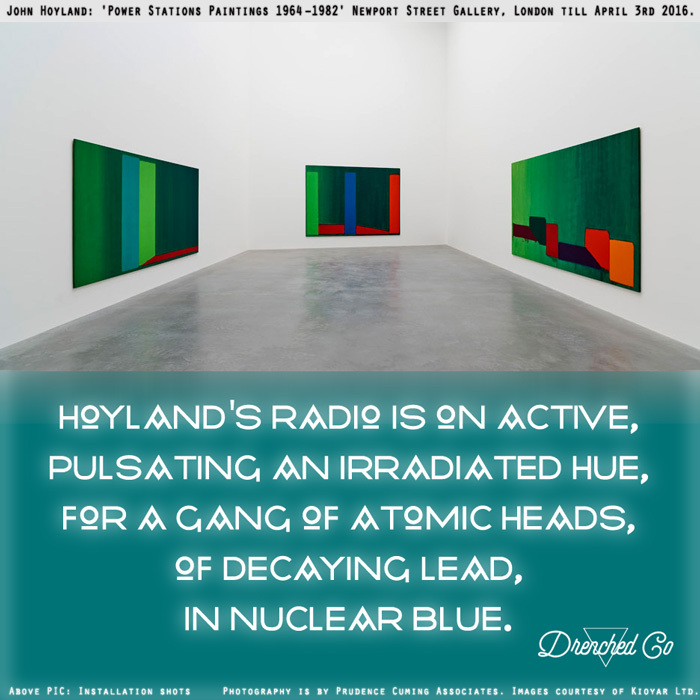 Wounds that Bind: Exhibition Review - John Hoyland: 'Power Stations Paintings 1964 –1982' Newport Street Gallery, London till April 3rd 2016. Exhibition Review - John Hoyland: 'Power Stations Paintings 1964 –1982' Newport Street Gallery, London till April 3rd 2016. Caption: Installation shots Photography is by Prudence Cuming Associates. All images courtesy of Kioyar Ltd. Image Courtesy of the artist, Kioyar Ltd and Newport Street Gallery, London.